The BioBubble AquaTerra 3D Reef Aquarium Backgrounds is a cool and calming background for the use in 1-gallon tanks. The background can wrap around the enclosure to provide a depth of the designed reef coast to let your fish feel more at peace with their new environment. The beautiful and colorful design of the reef include colors such as green, red, purple, dark blue and light green within its display to offer a better soothing and calming environment for your fish. When fish are able to interact with their environment you will be able to see it in your fish's more joyful nature by swimming near and on the reef layout. 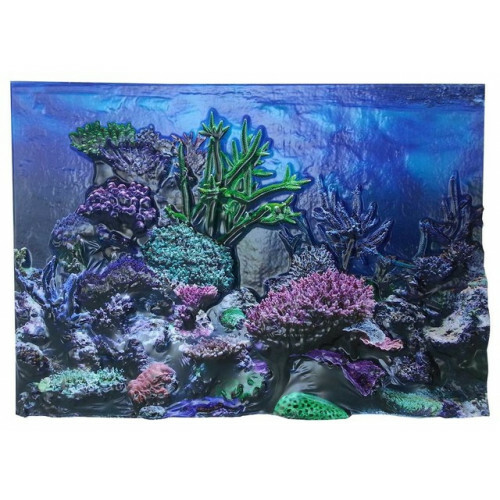 The AquaTerra 3D Aquarium Background is easy to clean, the material from which it is made of can be wiped of any debris with an effortless rinse and placed back in the tank. 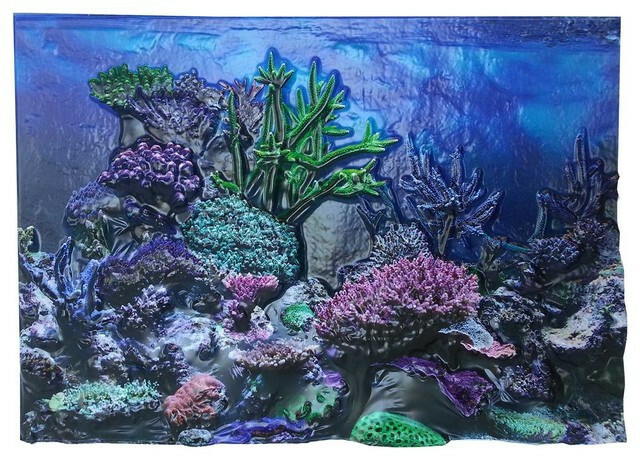 Initially, when you are to install the 1 Gallon Aquaterra 3D Reef Background, you might have to trim-to-fit the background into the tank. You may trim the background with scissors to the appropriate size as needed. The marine-grade plastic sheet is not made with harmful chemicals to fish or aquatic life. Create a beautiful environment for your fish and a visually appealing tank for those who see it. Additional accessories are available to give your fish tank a more personalized touch with such options as the Decorative Loxton Keep and the Decorative Sunken Fishing Net Boat.